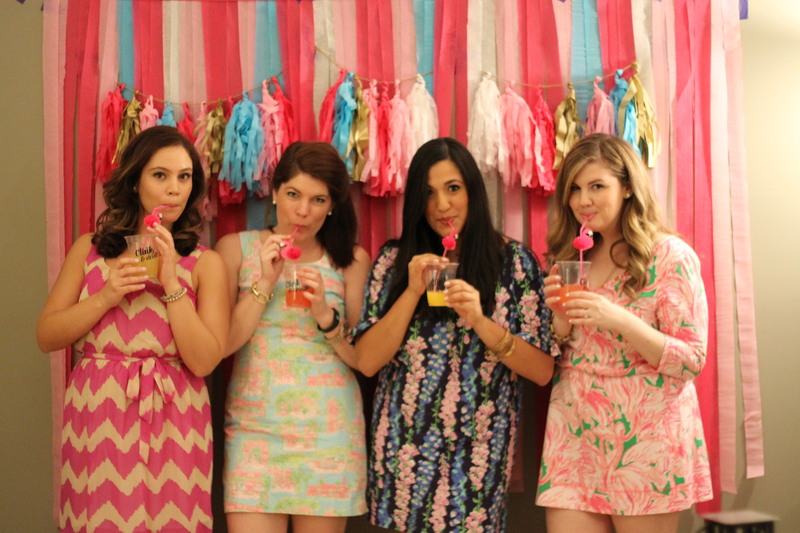 planning the perfect lilly pulitzer party! 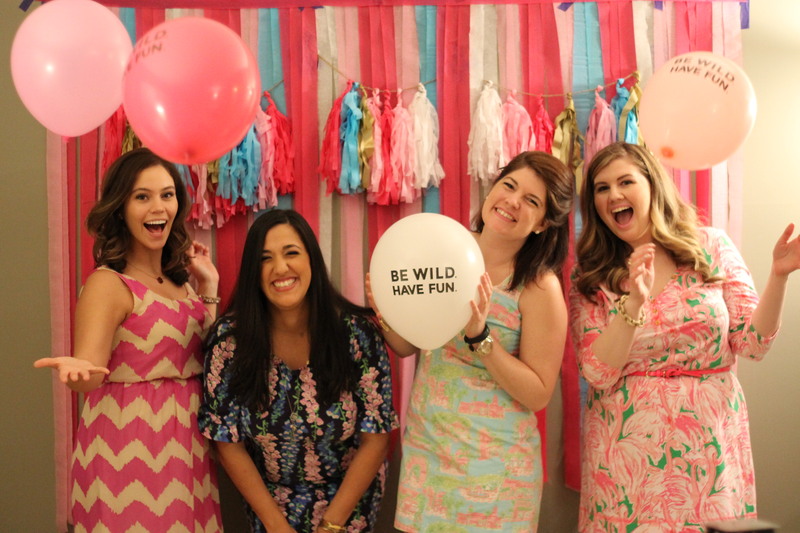 Be sure to theme your party to a print! I chose a flamingo print and based all the decisions on the print…but I had to add some gold! The gold balloons above can be found here, for just $1.50/balloon. They are a little hard to blow up so you’ll need a little bit of patience (and a flat iron to seal the balloon!). Homemade sugar cookies / cookie cutter (similiar here) I made the tent signs on photoshop. I bought crepe paper streamers (yes the .88 ones at Party City!) I also made the banner and will do a DIY soon! Life’s a party. Dress like it! These balloons were so fun to play with! 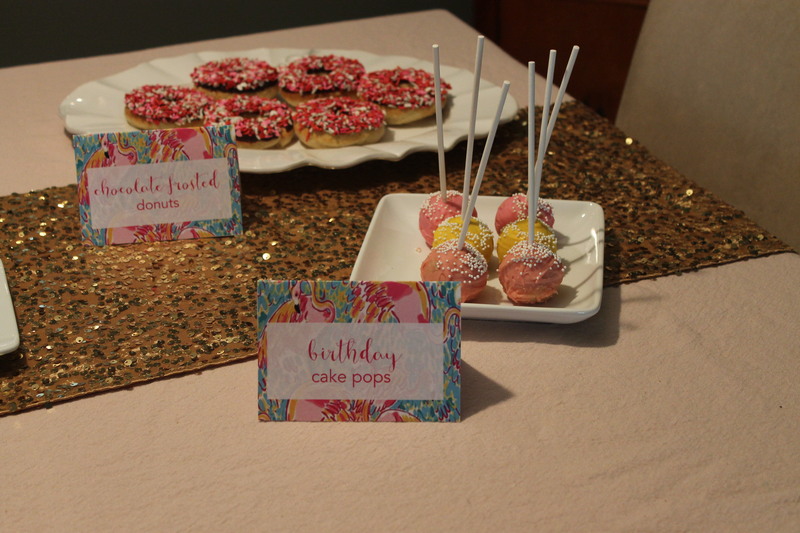 I love getting party supplies at Shop Sweet Lulu! They don’t have these balloons anymore but I’m really like these and these. 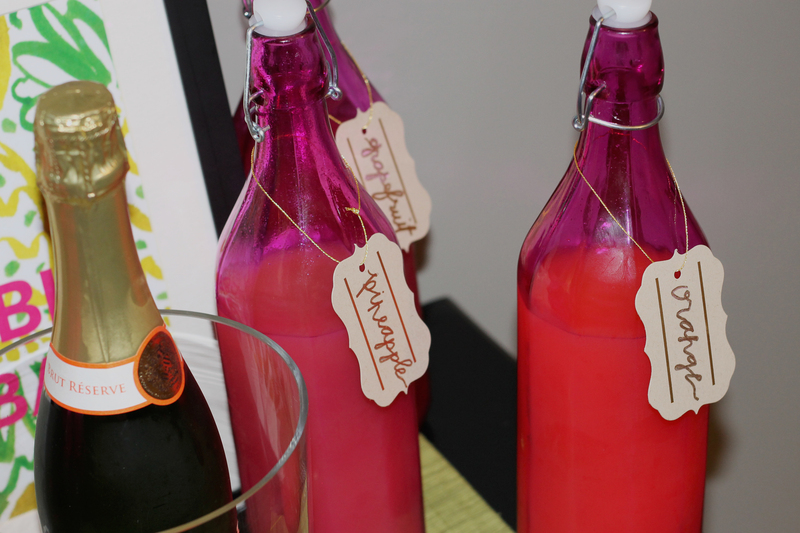 I set up a little bubbly bar on a small table we have with flamingo straws, napkins, cups and three hot pink bottles from home goods ($2.99 each). You can’t see the cups well in this picture but they say clink and drink. She lived like every hour was happy hour. 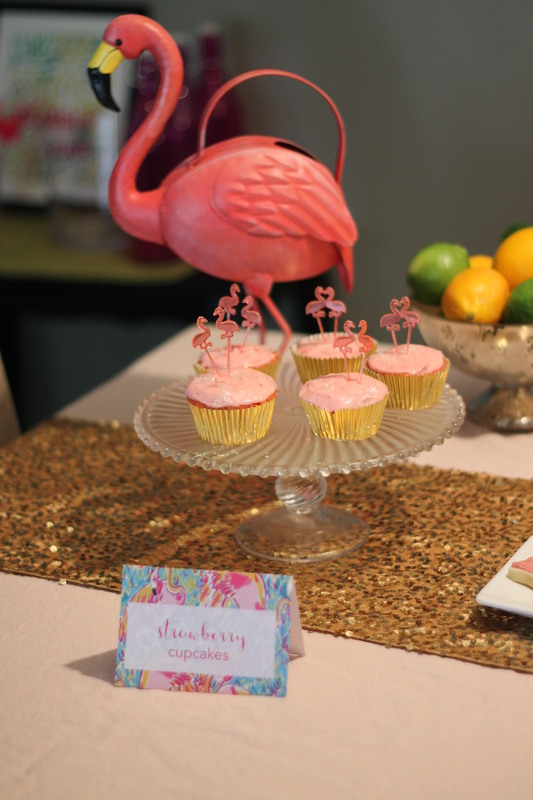 I loved sneaking these flamingo picks into the strawberry cupcakes. Isn’t that the cutest flamingo? He was a gift from my mother-in-law, and hes actually a watering can so he can be on our patio all summer long! I also had chocolate frosted donuts (recipe here) and cake pops (recipe here). And in case you find yourself also needing a gold sequined table runner, you can find it for a steal here. 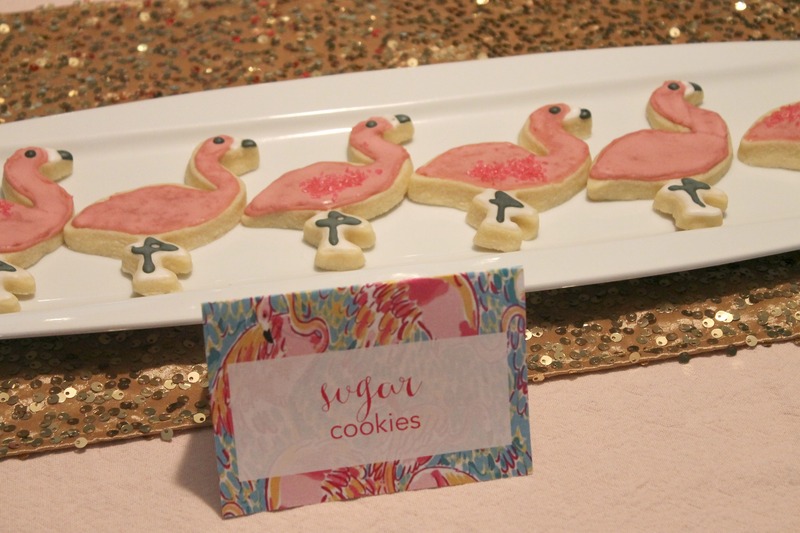 We had such a fun time and Lilly Pulitzer makes for a perfect party. 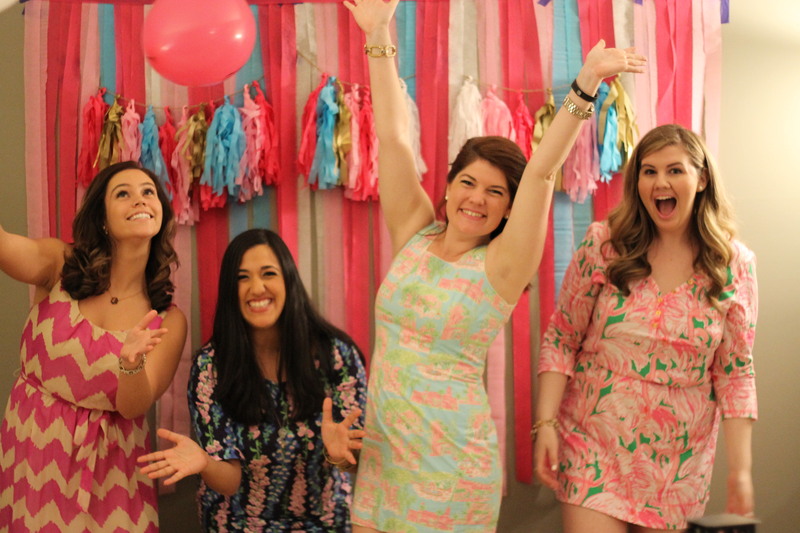 To see more of this party check out #27lillydresses on instagram! Categories: Good Times | Tags: bubbly bar, dessert bar, flamingo, lilly pulitzer, party | Permalink.